Continuing on from my last entry where I discussed B&W being one of my more preferred mediums, I though I would post up a photo from my archives. 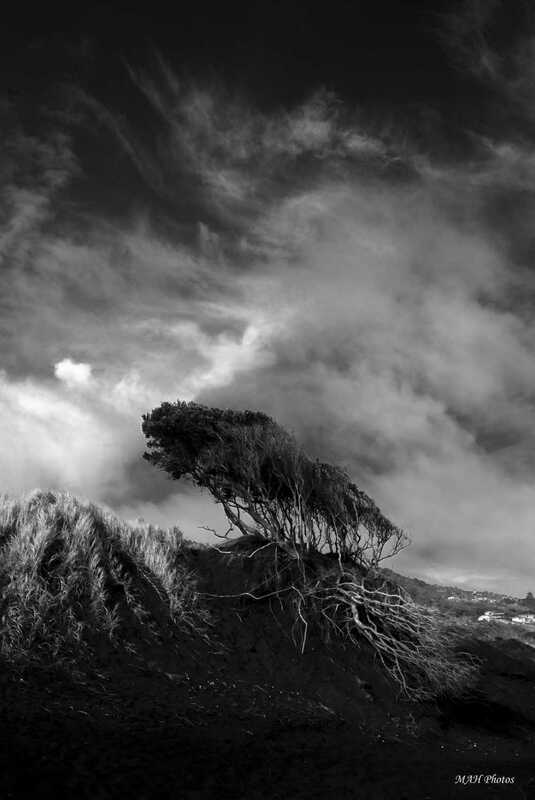 I took this image on a Sony A230 on the windy west coast beach, Muriwai. The west coast gets battered by waves and wind, both forming and at other times destroying the sand dunes along the coastline. Muriwai is also home to a fairly large gannet colony, well worth a visit if you are in the area! In B&W I love how the wild nature of the area is highlighted with the contrasty sky and exposed roots of the tree.I ended up having this printed on A2 canvas, so its in my personal top pics for the last few years.